Unevens, Single Bar, P-Bars and Rings in a 172"x172" space. 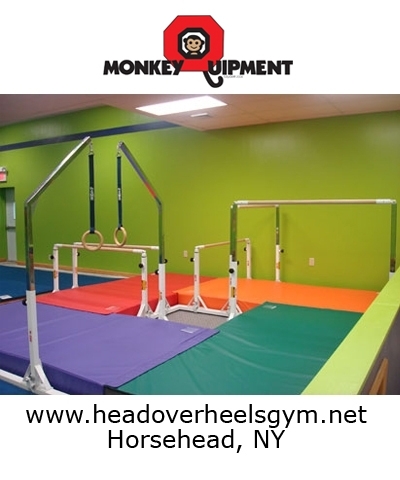 Monkeyquipment Quad Set is designed for beginning gymnastics and built to scale for Kids under 100 pounds. Includes Unevens, Single Bar Trainer, P-bars and Ring Frame. Includes 1.75" diameter round rails. 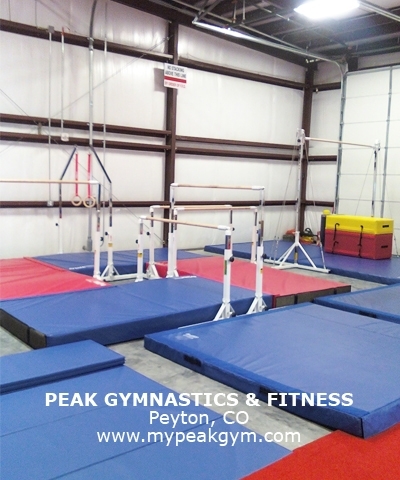 The low Uneven bar, SBT bar and the P-Bars adjust from 36" to 52". The uneven hi-bar adjust from 60" to 75". The ring frame top adjust to 96". Ring frame include real wood rings. The 48" square center base is the heart of the Quad Set. The MonkeyQuipment Quad Set takes up only 14'4""x14'4"gym floor space. Clamping Pin adjustment knobs are a combination spinklock/snaplock. Includes chrome plated ring frame top and apparatus pistons with eyebolt bearings at the point of bar connection for faster bar action. Uprights are coated in hard acrylic white paint and not dark blue as pictured. No floor plates required. 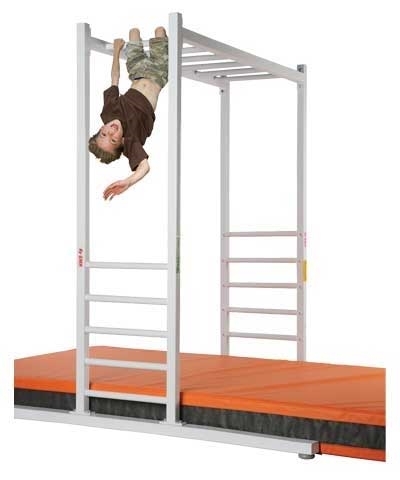 Requires 4-5'x112.5"x8" V2 skill cushions. See M4510 mats. 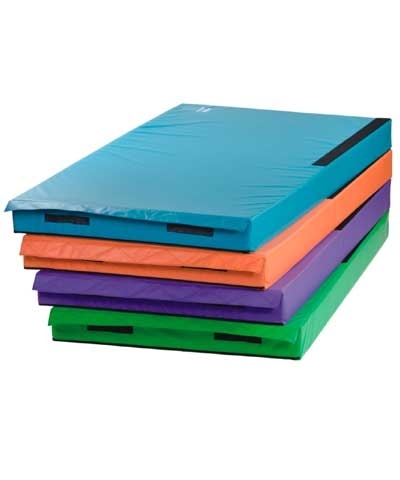 MonkeyQuipment Skill Cushion Mats Set Of Four 5'x10'x8"